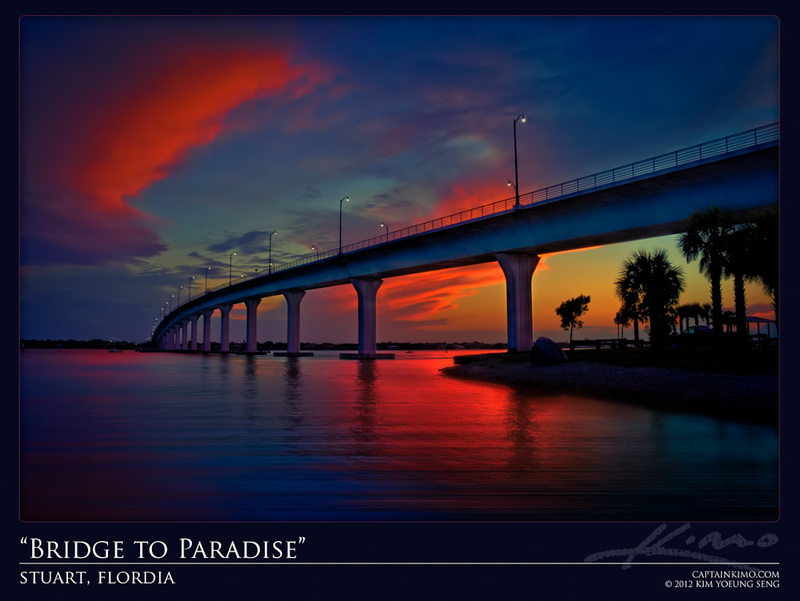 Yesterday I drove up to Stuart for a sunset photo shoot. It was a last minute decision to go there because the weather was pretty bad. I really wanted to shoot something so I checked the radar and there was a small gap up in Stuart where there wasn’t any storm clouds. I hate making last minute choices like this because there is always something that I forget. In this case it was gas which was at the quarter mark. I didn’t want to stop for gas because I didn’t want to miss the sunset. I drove up this bridge on an empty tank! My car was basically driving on fumes, lol. Luckily there was a gas station close by but before I got gas, I had to get all my shots in. I think this shot made it all worth the risk. When it comes to evening light at sunset hours 5-10 minutes makes a big difference.